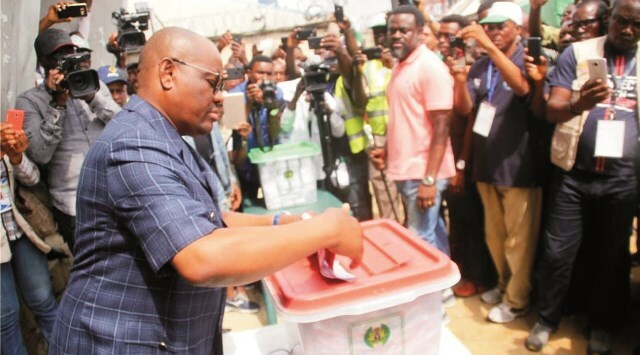 Rivers State Governor, Chief Nyesom Wike, casting his vote, during the Governorship and State House of Assembly elections in Port Harcourt, last Saturday. 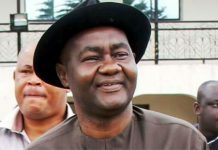 The Peoples Democratic Party (PDP) in Rivers State has said that the governorship position of the State is neither for school boys nor people without record of achievements. Director of Information and Communications, Rivers State PDP Campaign Council, Barr. 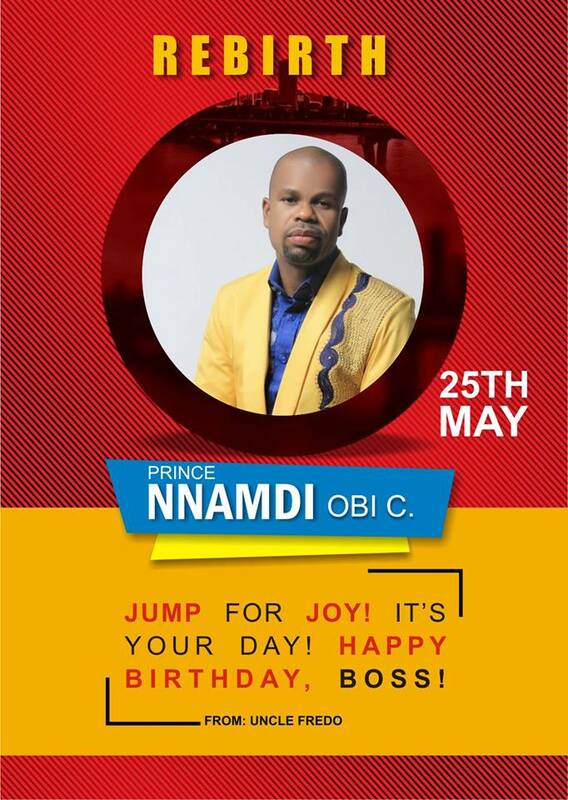 Emma Okah, stated this in a statement he issued in Port Harcourt. 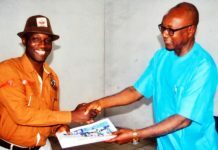 Okah, while reacting to a press briefing by the governorship candidate of the African Action Congress (AAC), Mr Awara Biokpomabo, last Monday said plum office was for tested and experienced persons. Recall that Awara at the said briefing called on the Independent National Electoral Commission (INEC) to declare him winner of the March 9 governorship elections claiming to have won most of the local government areas of the state. Okah described the contents of the media briefing by Awara as worthless which ordinarily would have been ignored. “Rivers State PDP Campaign Council is using this medium to advise the governorship candidate of African Action Congress, Mr Awara Biokpomabo that the position of Governor of Rivers State is for mature, tested and experienced persons and not for school boys with no record of public service. ”However, allegations of wrongdoing against Governor Nyesom Ezenwo Wike and the PDP in the press conference are false, baseless and lacking in merit,” Okah stated.